2015 sees the return of the biennial International Food Exhibition (IFE) and to celebrate, it is launching with a brand new, fresh and interactive website. Ahead of Europe’s foremost food and drink event, staged at ExCeL London from 22nd – 25th March 2015, where exhibitors and visitors from across the food and drink profession, can stay up to date with the latest industry news and trends and read about the fantastic show features, including live demonstrations from top British and international chefs, seminars, exhibitor information and networking opportunities. The website will be the go to resource for exhibitors and visitors alike, being continually updated as the business event of the year fast approaches, meaning up to the minute news is just a click away. 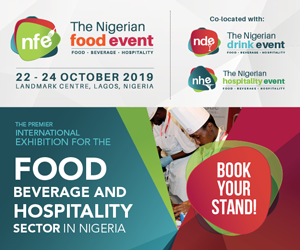 Running for more than 30 years, IFE is back bigger and more innovative than ever before, and where better to host the UK’s largest food and drink event than in London a multicultural, epicenter for food visionaries from across the globe. The show will draw an estimated 30,000 professionals from across the industry spanning today’s dynamic retail, foodservice and manufacturing markets. The exciting show program for IFE 2015 includes new and inspirational elements, such as The Artisan Food Market and the Gourmet Drinker, featuring the best alcoholic drinks available from smaller producers. The event also welcomes the return and support of the show’s prominent partners such as the British Frozen Food Federation, the Craft Guild of Chefs and Food & Drink Federation. Boasting a staggering 80 high profile speakers and chefs, the exhibition will also encompass a large number of live culinary demonstrations on The Skillery with award winning chefs Hayden Groves, Damian Wawrzyniak, Mark Greenway and Alan Bird, to name but a few. While live business seminars will offer visitors the chance to gain industry insight from some of the most respected names in food and drink. Visitors can learn about latest trends and best business practice from a host of opinion forming key note speakers including Andy Clarke, President and CEO of Asda, and Neil Turton, Chief Executive Officer at Nisa, along with many more to be revealed as the event approaches. 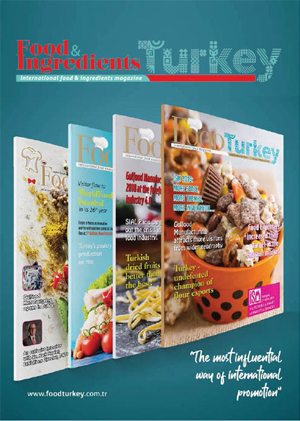 IFE has the world’s largest collection of UK products, as well as a plethora of international exhibitors from over 50 different countries, showcasing a melting pot of global flavors, trends and specialist goods. Exhibitors can be assured they are profiling themselves at the industry’s most influential, professional food and drink event, attracting the most significant purchasing decision makers. Supported with an international marketing and social media campaign, IFE 2015 promises to connect exhibitors and visitors from around the world it’s where business is done!